This article was posted by sbrien@getcrack... on January 29th, 2018. Regardless of the type of eggs you buy in your grocery store, they all come from the same place. A farm. Have you ever thought about how the eggs got from the farm to your grocery store shelves? There are a few steps on their way, but the process of farm to table eggs (yes, the ones you get in the grocery store are farm to table) only takes about 4-7 days. Once the eggs are laid, they are collected from the barn using conveyor belts and brought to the packing room. There, they are packed onto trays and stored in a cooler until they are picked up by the grader. Once the eggs have been picked up they are brought to a grading station. 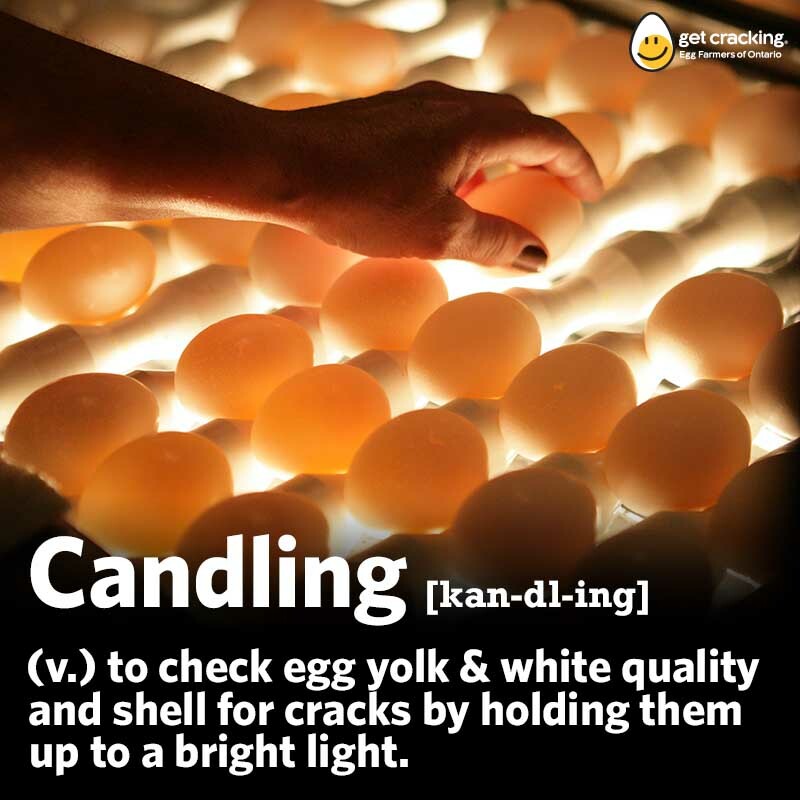 At the grading station the eggs are then washed in a mild detergent, candled (a way of inspecting the eggs to ensure quality standards are met) and sorted. The eggs are sorted by weight (not size) into either peewee, small, medium, large, extra-large or jumbo and placed into the cartons you see at the store. From there, the eggs are placed in the cooler then delivered to the grocery store.